This exhibition places The Simpsons family in the context of the Arts & Crafts Movement in the Lake District. The exhibition makes links to Simpson craftsmanship throughout Blackwell and presents work by Arthur Simpson, one of the forgotten masters of Arts & Crafts furniture, embroider and leatherworker, Jane Simpson, their daughter Hilda who produced delicate lace-work, and both sons who became apprentices under their father’s guidance. Arthur Simpson was born in Cumbria in 1857. 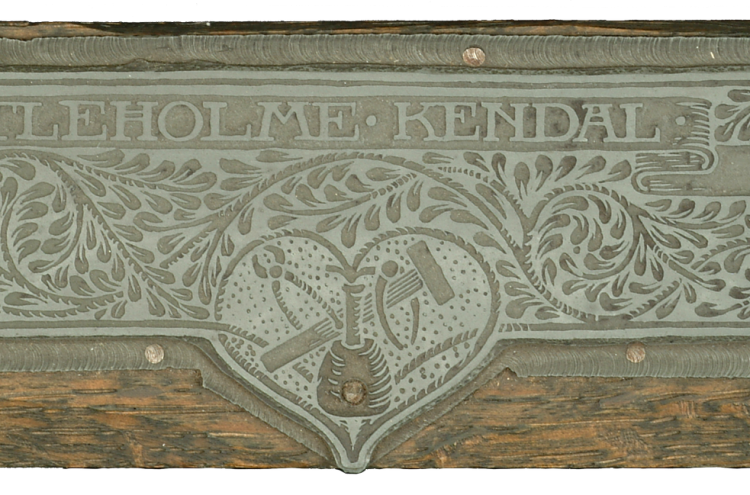 He showed an early flair for wood-carving, working in London before returning to establish his famous Handicrafts workshop in Windermere. The superb workmanship of his Arts & Crafts furniture, with its clean simple lines, found a ready market locally. Jane Simpson, despite a lack of prior experience, found herself to be a natural at embroidery. Wanting to be actively involved in the business and with the encouragement of her husband, Jane produced startling embroideries, leatherwork and needlepoint bedspreads inspired by the natural world around her, beautiful in both their simplicity and attention to detail. Their daughter Hilda also produced embroidery, creating delicate lace-work, and both sons became apprentices under their father’s guidance. This is the first time an exhibition of work by the Simpsons family has been presented at Blackwell.